Pinnigers used to be a dairy farm and the landscape and buildings reflect this. The farm has not been looked after for many years and currently has a wonderful forgotten quality. The farmyard character is still very much intact but with nature slowly beginning to colonise and reclaim. 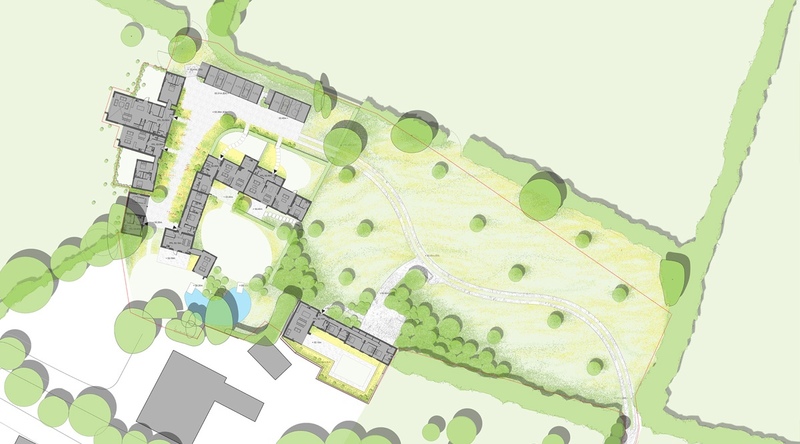 We were asked by Rural Solutions to produce a landscape strategy that would preserve the special character of the place whilst allowing the buildings to be converted into six residential dwellings. 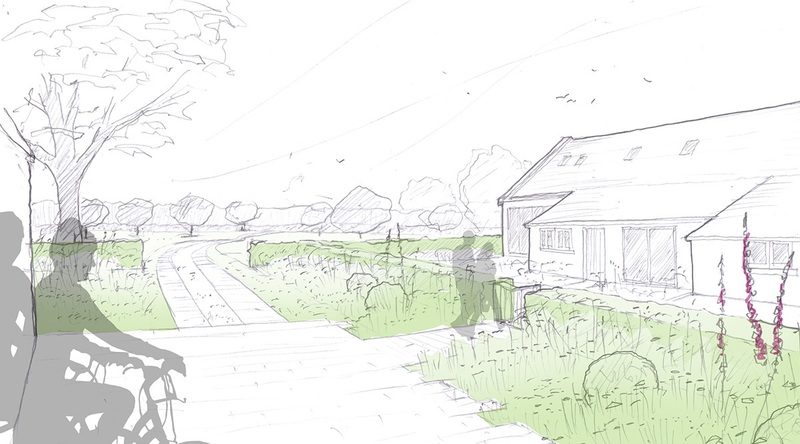 Our approach was to work within the existing structure of the farmyard, taking inspiration from nature and it’s slow re-colonisation of the site. 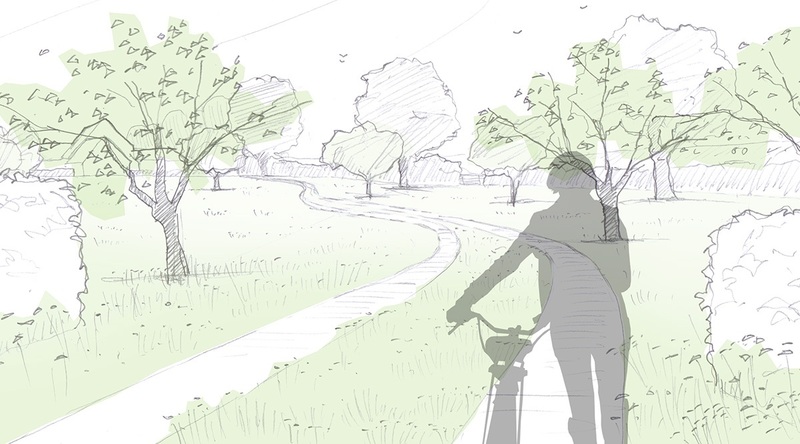 To this end our scheme employs frayed planting and low hedges to informally define the private spaces whilst creating a meadow in the entrance field and reinstating a historic orchard within it. 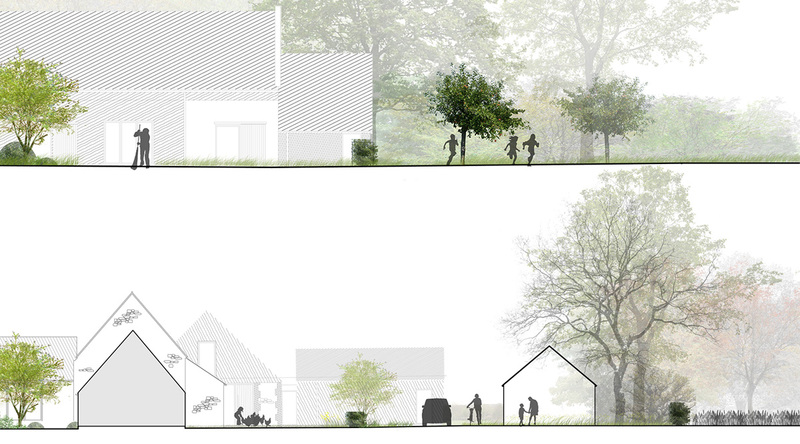 There are two distinct character areas: the entrance meadow and the old farmyard. 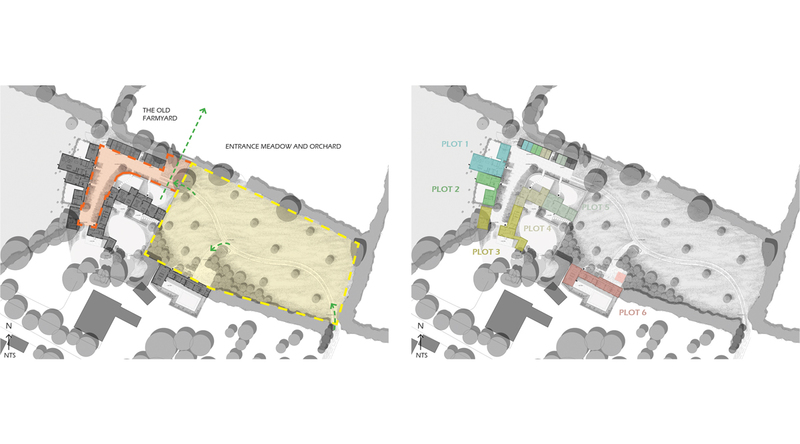 Integrating car parking into these areas was key and was achieved by positioning them within the farmyard buildings in one instance, and nestled within additional hedgerow planting in the other. 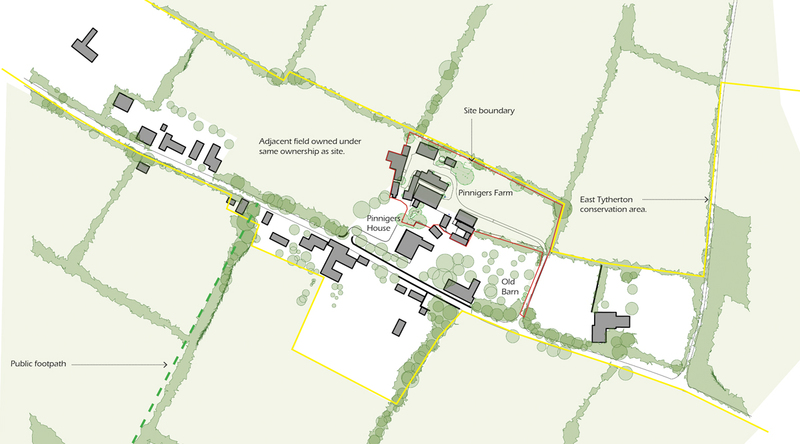 Facilitating a residential use of the historic buildings whilst at the same time retaining the rural agricultural character of the site is key to our approach. The entrance meadow and orchard.